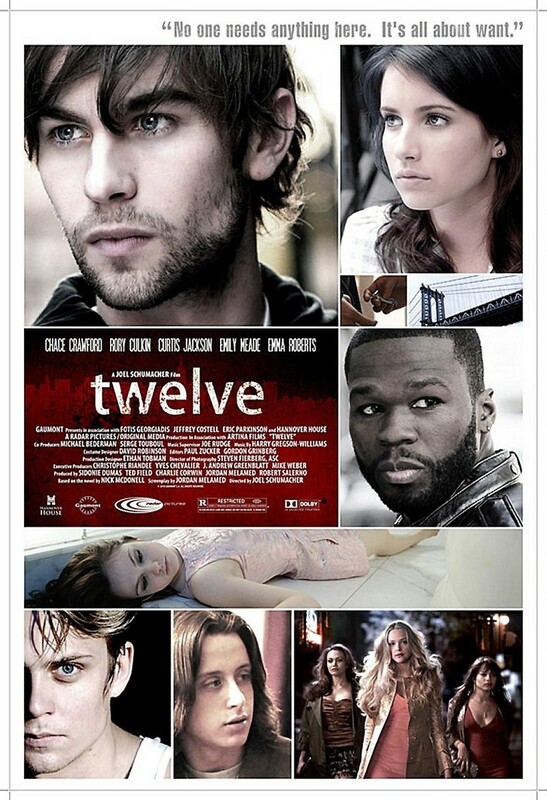 Twelve DVD and Blu-ray release date was set for December 28, 2010. Lionel thinks that he has it all. He establishes a swank lifestyle through the sale and trafficking of drugs. He finds himself rolling in money and he has no problems living the high life and waving his money under everyone's noses. But things take a turn when Lionel's cousin is killed in a brutal attack. Not only does Lionel have to deal with losing his family member, but he also finds out that his best friend is the one who did the killing. Now Lionel has to try and stay alive and stay out of jail as the world he has built around himself starts to slow crumble. He soon realizes that the things he has been focused on for years are not the things that really matter in life.